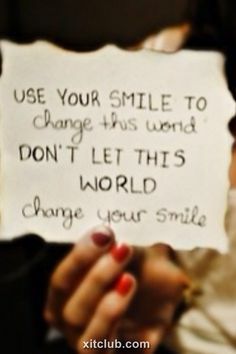 I love this quote – it is so easy to let the world change your smile. Every once in a while I have a customer at the store that is so nasty, I just love to screw with them by being nice. Show your SMILE – you never know who’s day you might change without even knowing it.